Although I generally make a point of spending significant amounts of time with the albums I review, nevertheless it is rare that I find myself quite so resistant to putting pen to paper or, more accurately, fingers to keyboard. 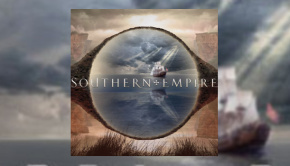 Getting to the point of being ready to say something about this second offering from Southern Empire has been a struggle. And the primary reason for this malady is the still lingering sense that, even now, it feels as if I am grappling with something which continually evades my reach. Being able to grasp and articulate why this is the case brings us to the heart of the matter. 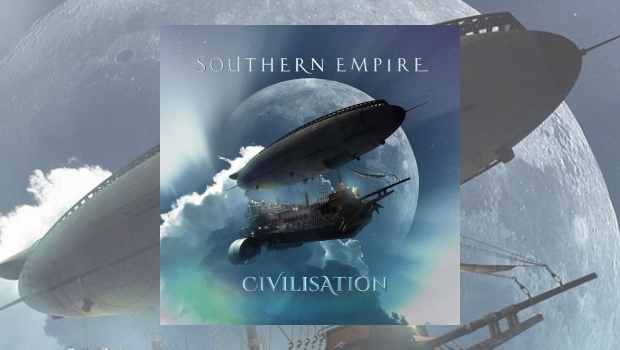 The self-titled debut album Southern Empire, emerging from the dissolution of the highly regarded Unitopia, is a magnificent achievement. Focused virtuosity and technically brilliant musicianship lay the foundations for music which exudes energy and creativity. The lyrics are perceptive, insightful, haunting. In tandem they create a lively, spirited and organic flow to music which is at times simply breath-taking and a joy to hear. But this is precisely where the problem lies. Exactly the same can be said of Civilisation. Yet once you spend time in the company of this delightfully imposing behemoth of a record, what quickly becomes clear is how woefully inadequate this serves as a summary. Although the same elements which made the debut such a tremendous success are present – and in much greater abundance – Civilisation is a much, much more striking and scintillating creation. 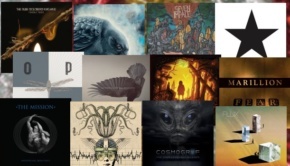 The sheer daunting scale of what the band have achieved with this release is simply stunning. I’ll even go further. 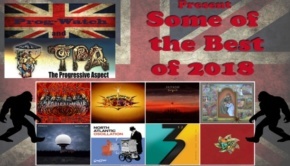 For the times in which the prog rock genre presently finds itself, this is an endeavour which is lofty, ambitious and whole-heartedly courageous. The sprawling canvas on which it paints is testament to the boundless imagination and exceptional vision which energises this massive undertaking. You get an immediate taste of the scale of what you are letting yourself in for as soon as you open the CD booklet which begins with a quote from Jules Verne: “We shall one day travel to the Moon, the Planets and the Stars, with the same facility, rapidity and certainty as we now make the voyage from Liverpool to New York” (From the Earth to the Moon). I love the debut album: but the vision captured here is, for me, how Civilisation stands in relation to that album – it is an enormous project taking giant strides that are light years ahead of what has gone before. Not only is the vision itself courageous, but the song-writing which makes it all possible is imbued with an inquisitive and unfettered spirit of adventure which isn’t afraid to explore various musical pathways and possibilities. Two of the four tracks clock in at just over 19 minutes (Cries for the Lonely) and 29 minutes (Crossroads) respectively. These immense spaces allow the band to build delightfully intricate structures, establish well defined, wonderfully crafted musical passages and then grow alluring and captivating segues between them. The two remaining tracks, opener Goliath’s Moon and closer Innocence & Fortune, though seemingly more ‘straightforward’, are anything but. Both equally radiate the same rich, productive artistry and resourcefulness which allow them to musically breathe and shine with an inspiring inventiveness that trades on exactly the same willingness to step out of the conventional and cheerfully grab naturally evolving transitions. The transitions themselves signal a third important element which underpins this remarkable project. Not just courageous, not simply adventurous but the glue which binds it all together – the willingness to be experimental and a satisfying pride in being genuinely progressive. The album bristles with ideas that are grand and lavish, expressed in musical sequences which are daring, innovative and joyfully melodic. The harmonies, such a feature of the first album, have greater scope and find fuller voice to both complement as well as carry the force and direction taken by the music. 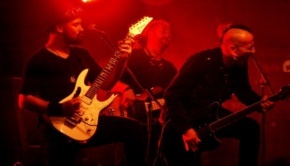 The final verse of the final track carries the sentiment: “Though you’ve come the long way round, nothing stays the same”. It’s a heartfelt feeling which aptly captures the enthralling experience of listening to this superb album and why, even now, I still feel as if I am only beginning to scratch the surface of the many delights waiting to be uncovered. Without doubt it is a formidable contender for album of the year. Beyond that, and more importantly, it stands as a towering exemplar for the kinds of possibilities open to prog in the 21st Century when approached in a spirit of courage, adventure and experimental playfulness.